What information do I need to provide Blossomtree Psychology to refer under a Mental Health Plan for individual services? Referrals made by General Practitioners under a Mental Health Care Plan (MHCP) may be a letter to an eligible psychologist signed and dated by the referring practitioner. While we at Blossomtree Psychology prefer to receive a copy of the MHCP Referring General Practitioners are not required to use a specific form and/or provide theMHCP to the psychologist to refer patients for these services. How many individual services can I refer a patient to Blossomtree Psychology for in a calendar year (e.g. 1st of January to 31st of December) through Medicare? The maximum is 10 sessions per calendar year. 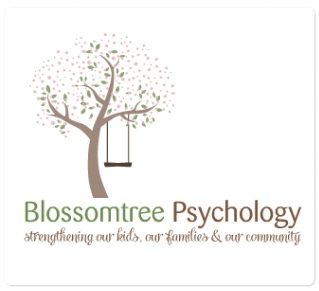 How do I refer a patient to Blossomtree Psychology Practice for up to 10 individual services? and then followed by 4 further additional treatment sessions under a MHCP Review, after receipt of a letter from our Psychologist seeking review and updating you on the treatment progress. Please note that if a patient/client requires continued psychological services into subsequent year(s), you do not have to provide a new Mental Health Care Plan each year. Providing there has been three months between the prior review, you can provide another review. Again, in the subsequent year the client/patient is only eligible for 10 Medicare Rebated sessions. Thus, as a General Practitioner you can review in the subsequent year for six initially and then a second review for a further four later, no less than three months after the last review. At Blossomtree Psychology, we expect our Psychologists to keep thorough records of clients use of Medicare sessions and to be aware of what the client/patient is entitled to and as such they will advise you in their review letters.